Know India Programme (KIP) is a flagship initiative for Diaspora engagement. The programme aims to familiarize Indian-origin youth (18-30 years) with their Indian roots and contemporary India. 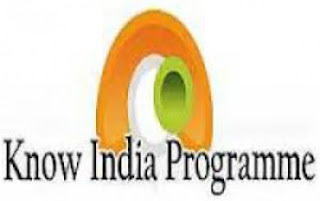 Know India Programme is a three-week orientation programme for diaspora youth. The programme aims to promote awareness on different facets of life in India and the progress made by the country in various fields e.g. economic, industrial, education, science & technology, communication & information Technology and culture. The programme provides a unique forum for students & young professionals of Indian origin to visit India, share their views, expectations & experiences and to develop closer bonds with contemporary India. The programme has been in existence since 2003 and is open to PIO youth from all over the world. The programme is open to youth of Indian origin (excluding non-resident Indians) with preference to those from Girmitiya countries (Mauritius, Fiji, Suriname, Guyana, T&T, Jamaica etc). The programme mandates a minimum qualification of graduation or being enrolled for graduation to be a part of it. Understanding of India's political system, economy, society, and developments in various sectors etc. Visiting places of historical, cultural, religious importance. Familiarisation with art, music and culture of India. Visiting a select state in India for 10 days. Q. Which programme is a flagship initiative for Diaspora engagement that aims to familiarize Indian-origin youth (18-30 years) with their Indian roots and contemporary India?